Republicans are selling a corporate tax cut as a way to help the middle class and make American businesses more competitive. But a new analysis published in Tax Notes asserts that lowering the corporate rate could also be a windfall for foreign investors. The analysis, done by Tax Policy Center senior fellow Steve Rosenthal, assumed the current top corporate rate would be cut to 20%. That is the proposed change outlined by President Trump and key congressional Republicans. Of the estimated $ 200 billion a year in corporate tax savings from that rate cut, about 35% (or $ 70 billion) would go to individuals and businesses from outside the United States, according to Rosenthal. “In the short run, a surprisingly large portion of this relief would end up in the pockets of foreign investors,” he writes. Rosenthal says the approximately $ 70 billion going to foreign investors would be three times greater than the annual benefit that middle-income households would enjoy from the entire Trump tax reform framework, as estimated in a preliminary analysis by the Tax Policy Center. White House chief economist Kevin Hassett has dismissed the Tax Policy Center findings. He argues it’s too early to make such estimates because tax writers in Congress haven’t filled in many details of the Republican reform plan. As the tax reform debate progresses, the question of who really benefits the most will be central: The middle class or the rich? Businesses or workers? 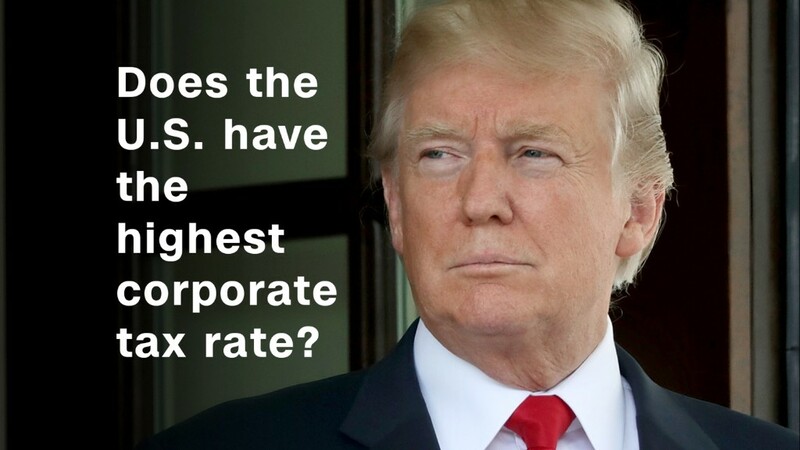 The answer will revolve in part around one of the most unresolved issues in economics: Who bears the greatest burden of corporate taxes, and therefore who stands to gain the most when those taxes are cut? Economists once believed that shareholders bear all the burden of corporate taxes. But now that American companies compete globally, most experts agree workers share some of the burden. That’s because it’s easier now for companies to shift jobs overseas and pay American workers less. There is no consensus over just how much of the corporate tax burden workers bear. The estimates range from 20% to 70% and up. The Trump administration contends that workers bear a lot of the burden, so will benefit a lot when rates are cut. Hassett estimates that cutting the corporate rate to 20% could mean a jump in average household income of between $ 4,000 and $ 9,000 a year, although many outside economists say that estimate is based on a very select reading of the evidence and literature. Rosenthal assumes, like many experts, that shareholders will enjoy most if not all of the benefits of a corporate rate cut during the first several years. He told CNNMoney he objects to a windfall for foreigners in part because, as proposed, a big corporate rate cut will cause deficits to grow, forcing the government to borrow more.